Today, I would like you to meet the nice owner Milan of the cute Etsy shop SNiS Handmade Leather Products from Serbia. 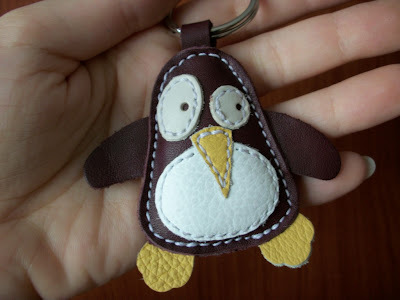 He produces the cutest keychains and coolest bracelets and they are all made of 100% natural leather! 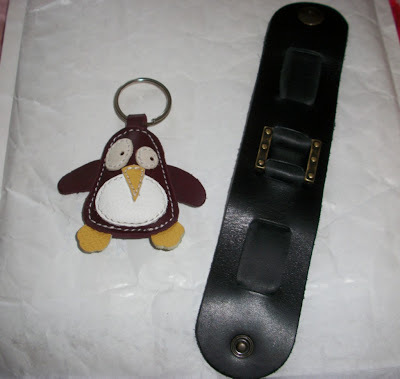 He kindly accepted to be the sponsor for a review & giveaway on my blog and sent me a leather bracelet with metal application and also a cute little brown penguin keychain to review. The bracelet is handmade of 100% natural leather. It is 21 cm in length, and 4.5 cm in width. It has a little natural leather smell, but it's really good to feel it; it absolutely doesn't bother your nose :) And it's very easy to wear. I know that you have to struggle to wear some bracelets, but this one is really easy. You just put it on your wrist and click; that's all! It's a strong leather and doesn't seem to wear off easily. Also, it gives a nice sense of coolness (in physical meaning) every first time you use it. PS: This bracelet is actually made for men, but I really love it and don't you think it looks nice on me? :) Besides being a freelance translator as I mentioned you before, I'm also a metal singer and I will use it on stage while performing with my band! The second item that I received is this lovely keychain. 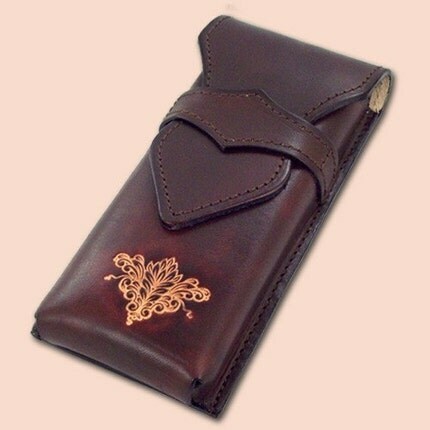 It's again completely made of 100% natural leather and it's filled with cotton wool to get 3D look and soft touch. It's 6.5 x 6.5 cm in size. You can easily slip your keys onto the ring of it. It's both soft and strong. PS: Look at that beauty! I think he is observing his new home :D You can just look at that sweet face and forget the problems of the day! We are small family manufacture consisted of my wife and myself. In our small workshop we make various products of leather, mostly using traditional methods consisted of handcutting, handpainting, engraving. 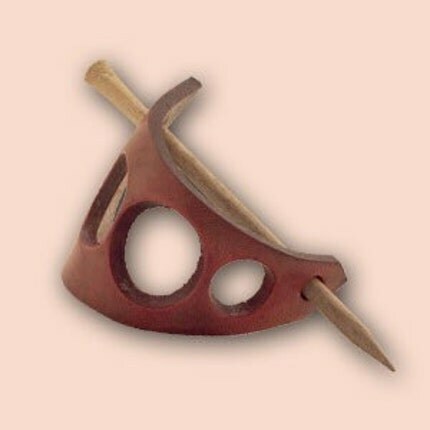 We combine traditional methods with modern techniques, also using modern design in combination with traditional. When making products we always try to get the best of quality, and to maximally satisfy our customers. OFFER: ORDER ANY TWO (2) PRODUCTS FROM THE SHOP, GET ONE (1) FREE KEYCHAIN OR BRACELET! DON'T FORGET TO WRITE IT IN THE NOTE TO THE SELLER AT THE CHECKOUT! BUY IT: Bracelets are between $8.50 - $22.00; handbags are between $65.00 - $115.00; keychains are between $7.00 - $18.00; leather cases are between $16.00 - $22.00; wallets are between $20.00 - $25.00; necklaces are all $8.00. 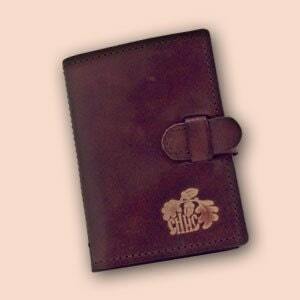 These are really good prices as you get 100% natural leather product! 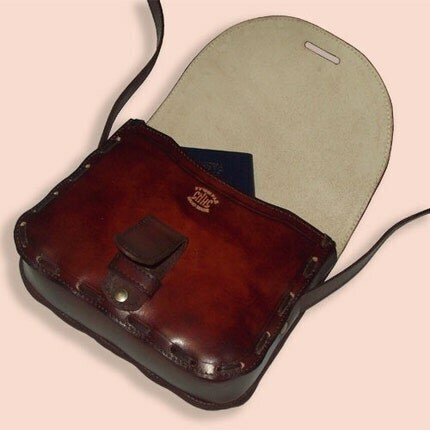 And don't forget to check also the other leather products section. Visit SNiS and tell me what you will choose if you win. The contest will end on October 16, 2010 at midnight (Turkish time / EET). Open WORLDWIDE. Winner will be chosen by random.org and notified via e-mail. The winner must respond within 48 hours or another one will be chosen. 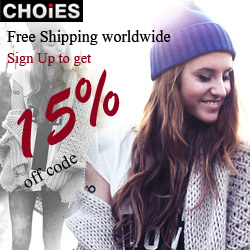 * I received the abovementioned free items for an honest review. I'm not responsible for the shipping of the prize. I'm not affiliated with this company. I LOVE the Leather sliced black bracelet! 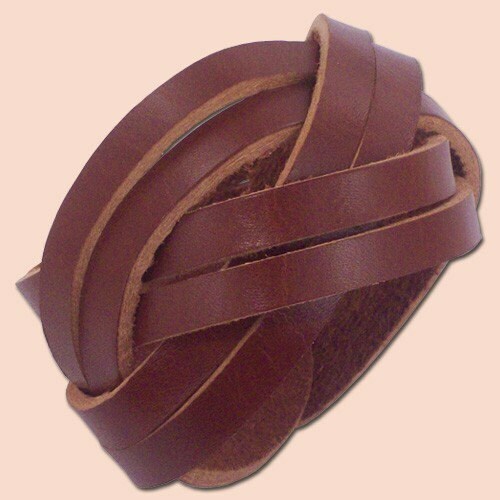 My favorite is the Leather sliced brown bracelet LIMITED EDITION -- I love the texture! Very cool bracelets..i have many favorites including the Leather sliced black bracelet. I love the Leather sliced red bracelet. I like the Cute little dog keychain. I love the Disco Chick Leather Keychain - so cute and the color would really stand out in my purse so I can actually find my keys! 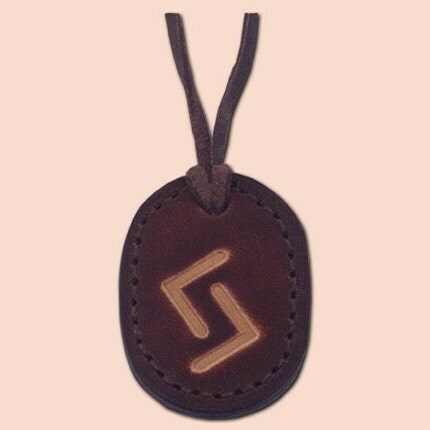 I follow your blog and if I won the bracelet, I'd choose the Leather braided bracelet whiskey. If I won the keychain, I'd choose the turquoise bat. I heart SNiS on Etsy @kiddo47. 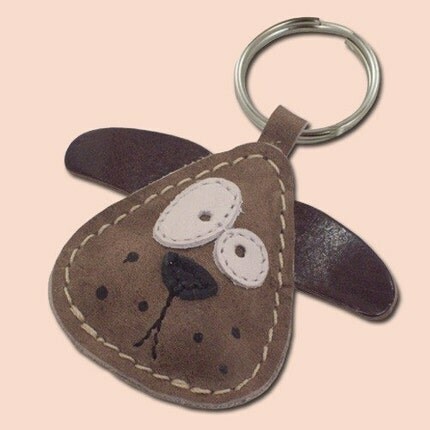 The cute little dog leather keychain is my favorite! 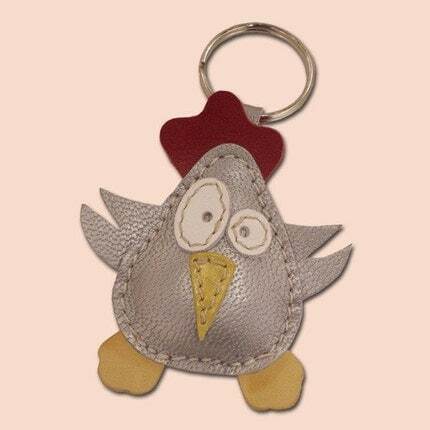 My favourite keychain is the "Disco Chick Leather Keychain". My favourite braclet is the "Leather braided bracelet black"
If I won it would be a toss up between the penguin or the dog keychain there both adorable! I would choose the cute little pig keychain! Love piggies! even tho the animals are adorable, I would choose the bracelet. I especially love the Agnes 008 in red, but they are all great. For the bracelet, I would choose Agnes Bracelet 002 Red. If I won the keychain, I'd pick Cute little beaver animal leather keychain. How cute. My favorite bracelet is the Leather braided bracelet black and the Sweet little Hedgehog keychain.And Im already a follower of your blog. I'd pick the cute little copper dog key chain and the Agnes bracelet 009 brown. 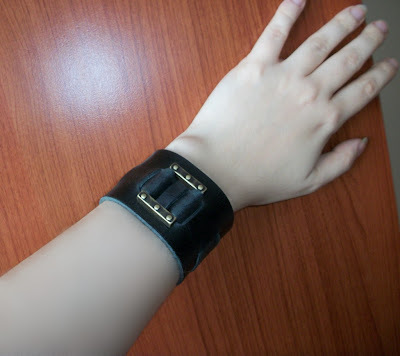 I like the Leather two-colour bracelet Edit Title! I would choose the black leather braided bracelet and the cute little dog keychain. my fave item in your shop is the victorian skull locket. I'd love to win the Leather braided bracelet in black. Hi! 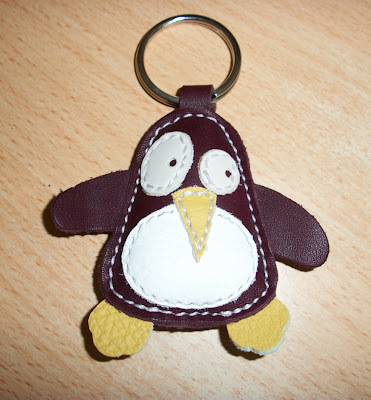 Iа I win I would love to choose Cute little dark green penguin keychain!!! Cutie!!!! I would love to win and choose the "Leather braided bracelet whiskey". Thanks for the giveaway! I love the Leather braided bracelet black and the Small book Keychain green. 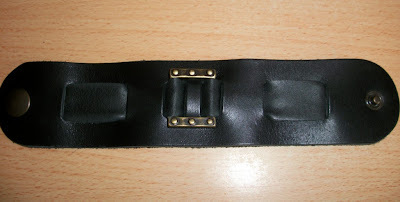 If I won the bracelet I would pick the leather sliced black bracelet. I really like this piece! If I won the keychain I would pick the sweet little Hedgehog keychain. If I win, I'd love the Leather braided bracelet black. I'm following you on Twitter (KelliFRobinson). I would get the Penguin keychain. i would get this bracelet! I would love to win the Cute little pig keychain! 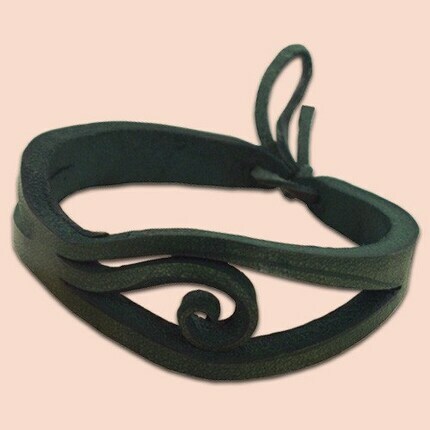 I'd choose the Leather sliced green bracelet! I follow you on Twitter. My username is my_wunderkammer. I hearted the SNiS shop, my username on etsy is magnolica. if i won i would pick the owl keychain or the agnes bracelet in 009 brown!